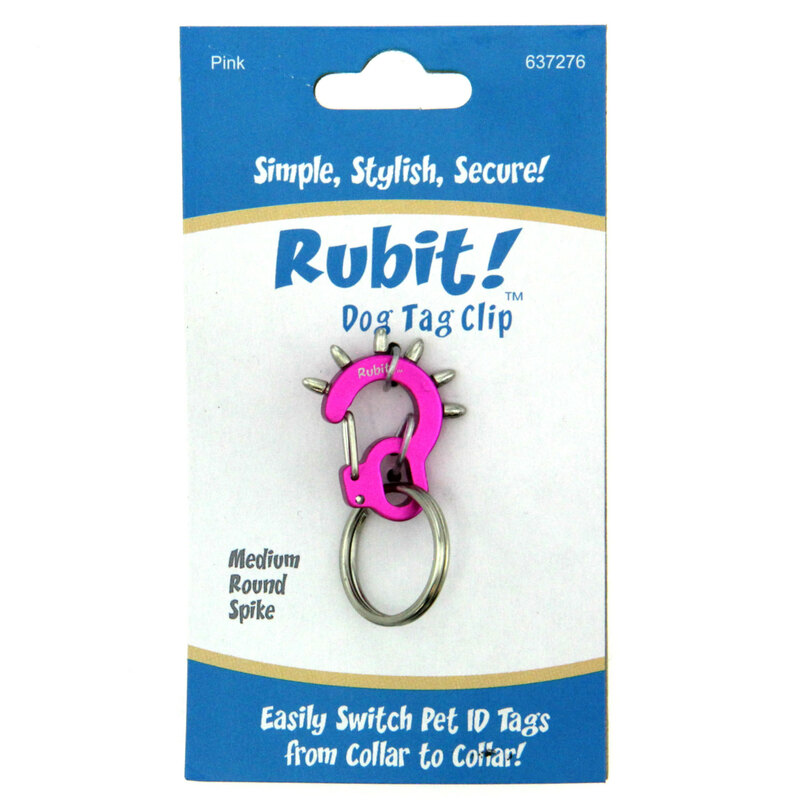 The Rubit (roo'-bit') Dog Tag Clip in Pink Spike is a simple and secure clip that let's you swiftly transition tags to different collars with a added punk look. When you want to change collars, you just un-clip the Rubit from your old collar and clip it to the new one. It's that easy! 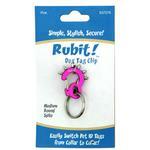 Attaches directly to a dog’s collar. Remove the Rubit! to quiet tag jingle at night. Variety of colors and styles each sold separately. Tag not included.